The Bern Ballett’s on-going series of open rehearsals is designed to make our creative process in the ballet studio open to any member of the public. From the very first rehearsals where the initial vocabulary for a work is formed, through the ‘cleaning’ and coaching sessions and finally onstage to the spacing and lighting rehearsals, the public can witness the new works in development right up to the premiere. 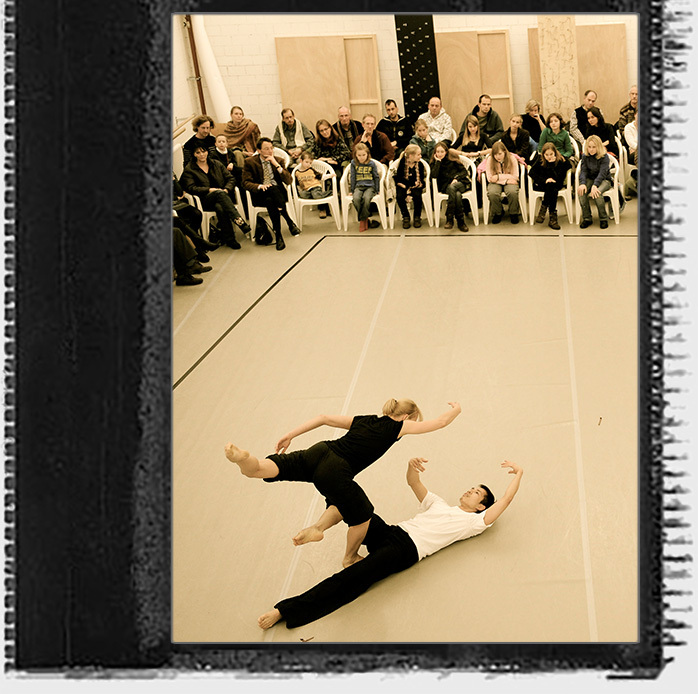 Moreover, a relationship is formed between the audience, Cathy Marston, the guest choreographers and the individual dancers in the informal studio setting. The aims are to promote discussion about the works, to give the audience a deeper insight into the layers of the choreography, and finally to strengthen the integration of dance and the company into the local community. Open rehearsals are scheduled regularly for the general public but are also available to specific groups upon request; for example, schools, art classes, English language speaking groups, teacher associations. There are around forty open rehearsal per season. Supplementing the ‘Open Rehearsals’, the Bern Ballett also encourages the discussion of dance and the company’s work by implementing a series of ‘Pre/Post-Show Talks’ with the choreographers, dancers and Dramaturge, Wanda Puvogel, and Director, Cathy Marston. These talks provide an encapsulated insight into the programme and work of the company. It is a chance for the audience to ask questions and, most importantly, a forum for the public to debate and articulate their views about the dance and choreography. The Bern Ballett are committed to encouraging people to dance themselves. Amongst the various types of workshops are on offer, the largest ‘outreach’ project, realised in 2008, 2009 and 2010, involved a group of approximately 50 members of the community, aged 14-74, working with a choreographer and dancers of the Bern Ballett over a period of 2-3 months to create a ten-minute work that they perform in some of the Bern Ballett performances. This intense experience of creation and performance gives the participants a true sense of the work that goes on in a dance company and the rewards that are gained from such team work. Other workshop options are also available, including teacher-training sessions. The Bern Ballett hosts and nurtures 2-3 young dancers and apprentices each year through collaborations with the London Contemporary Dance School (Post Graduate Diploma in Performance) and the Monaco Dance Forum. 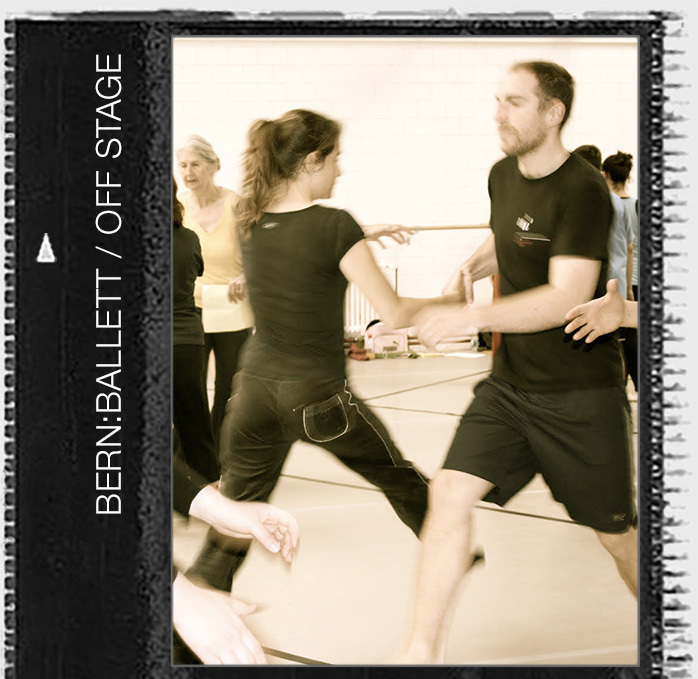 The Bern Ballett performs primarily in Bern, but is also available to perform internationally. In 2009 the ensemble took two programs to the UK where they performed at the Linbury Studio Theatre, Royal Opera House, London and at Snape Maltings, Suffolk, where they were presented by Dance East. A further tour to the Royal Opera House is scheduled in May 2011. The company also participates in international galas, for example in Stuttgart with Gautier Dance (April 2010) and at the Graz Opera House (December 2008). As well as inviting exciting young choreographers to create for the Bern Ballett, Cathy Marston is keen to explore collaborations with other local and international artists including composers, musicians, designers and film makers. Particularly notable are the connections made with musicians from Bern including world-champion beatboxer, Steff La Cheffe, the renowned and experimental double bass player, Mich Gerber, hugely popular Bernese rock-band, Kummerbuben, and the internationally acclaimed string orchestra, Camerata Bern.